The turf on the football field at Concord-Carlisle High School. As it turned out, fake grass wasn’t the culprit. 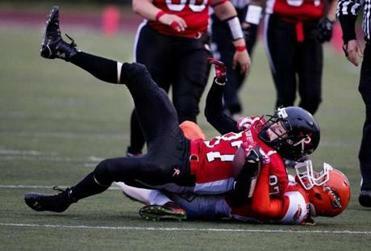 A few years ago, artificial turf — and the rubber bits spread on it to cushion the impact when athletes fall — was linked to cancer. The story began when Amy Griffin, a soccer coach in Washington state, noticed a cluster of cancer cases among soccer players, mostly female goalies, who had spent time playing and diving on artificial turf. Suspecting a link between artificial turf and cancer, she ultimately identified 53 soccer players, many of them goalies, with cancer. The cancer cluster she identified drew nationwide media attention. But that link hasn’t held up. 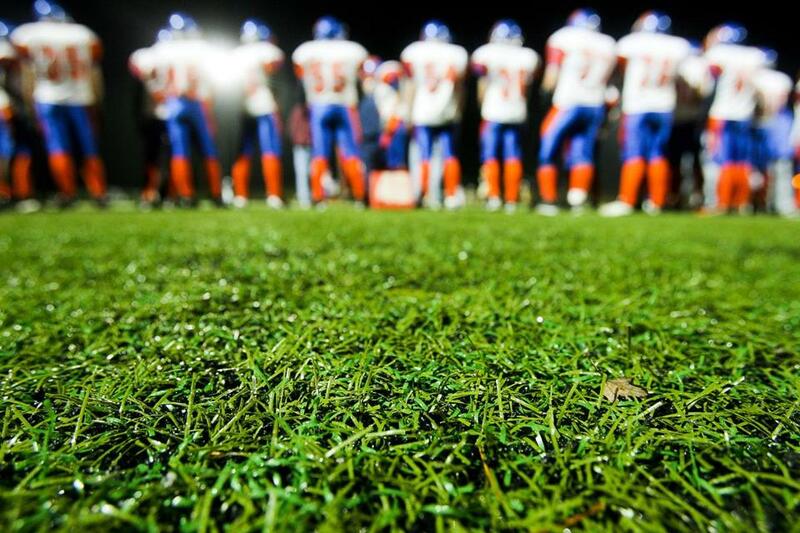 A careful investigation recently published by Washington state public health officials found no link between artificial turf and cancer. Unfortunately, communities across the United States are still struggling with the consequences of misguided citizen science right now, as residents glance nervously at the artificial turf on their towns’ playing fields. The human brain does a great job of looking for potential threats. That’s a survival instinct. And in the general interest of making sense of the world, the brain is also good at looking for patterns. Those two tendencies sometimes prompt people to spot what look like unusual clusters of cancer and then infer a cause. A master plan calls for six additional synthetic fields. The city currently has three. Unfortunately, the human brain is also really good at jumping to conclusions about patterns and threats and then stubbornly sticking to those conclusions. The investigators looked specifically at the kinds of cancer most frequently reported by Griffin — leukemia and non-Hodgkin and Hodgkin lymphoma — which are more common among younger people. There was no connection between artificial turf and these cancers. They specifically analyzed the risk for goalies, who made up a high percentage of the players on Griffin’s list. Again, no connection. And, like any good scientists, the researchers reviewed other studies, to see how their one brick of evidence fit into the overall wall. Quite well — of 10 review papers that had taken a look at all the research out there, seven found no link between artificial turf and crumb rubber infill and cancer. Sadly, this reassuring finding has gotten far less attention in the media than the earlier, more alarming news about a cancer cluster among kids who play soccer on artificial turf. Griffin identified a possible hazard that certainly warranted further investigation. In that regard, she follows in the footsteps of the pioneering citizen epidemiologist Anne Anderson in Woburn. Her suspicion about a pattern of childhood leukemia in her neighborhood led to scientific investigations that identified polluted drinking water as the cause. That work was portrayed in Jonathan Harr’s book “A Civil Action” and the movie that followed. Most of the time, though, quick conclusions about disease clusters and their causes don’t hold up to careful scrutiny. They are a first reaction to the initial evidence, which must then be assessed more carefully. That takes time and effort and open minds — not the default way the brain prefers to operate. David Ropeik is an instructor in the environmental studies program at the Harvard Extension School, a consultant in the psychology of risk perception, and the author of “How Risky Is It, Really? Why Our Fears Don’t Always Match the Facts.” A version of this piece appeared earlier in STAT.